Women's Health Care Associates (Houston) - Book Appointment Online! 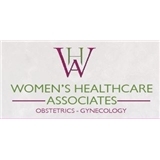 Women's Health Care Associates is dedicated to providing the newest and most modern comprehensive health care available in a warm personal and friendly environment. Our efforts reach out to providing women with gynecological services involving minimally invasive surgery, caring for high-risk Obstetrical care in the finest facilities in Houston and personal cosmetic skincare for women of all ages. Our medical staff is committed to providing easy access to our physicians and staff providing you with a personal one-on-one relationship with our physicians and nurses. Our office staff will be available to facilitate any of your needs to access our two ending in locations in the downtown and West Houston area. Great experience! She is very thoughtful and straightforward. I did not have to wait a long time, which is a plus. Dr.Curtis was very friendly and professional. Her assistant was also very friendly and professional. No one LIKES well woman visits, but I get so nervous I break out into a rash over it. Dr. Sassie was amazing, very knowledgeable and sweet. She took her time with me, nothing was painful and she really wanted to help fix my lady issues. I was in and out but at the same time felt like I got a very thorough exam. I will definitely be back and I will recommend her to all my friends!